Sam came through his surgery with flying colors! He did really well. They pre-medicated him with medications that would help him clot appropriately and these medications worked really well. He had no bleeding that was out of the ordinary!!! He was laughing as he went away from us due the medications they gave him:-) It was nice to not have to see his eyes roll back in his head and have him go limp in my arms, but I was anxious about not being there for him while he was awake. The doctor was very surprised to find that Sam's tonsil was "green and mushy." which apparently he hasn't seen ever before! Yes again, Sam has done something another doctor at Children's Hospital hasn't seen! :-) But at least that green mushy tonsil is no longer inside of him. The doctor said that they were much bigger than they expected and they looked like they were chronically infected. 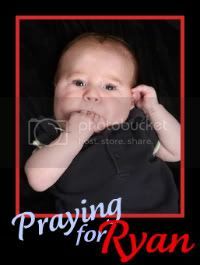 So prayerfully this will improve his frequent respiratory illnesses and the apnea. 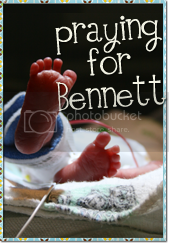 Thank you all for your prayers for our little miracle boy!! !